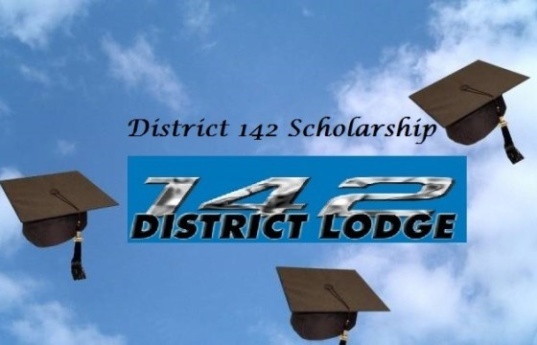 The following is a basic format for the year 2019 District Lodge #142 Scholarship Program and is intended for the guidance of all members and legal children of members who may be eligible to participate in the competition. The competition will be open to all members in good standing of District Lodge 142 as of February 1, 2019, as well as their legal children who are 2019 graduating high school seniors. The winners of the competition will receive scholarship tuition. The first prize will be $2,500.00 and several additional $1,000.00 scholarship tuition awards. This money will be paid directly to the college or accredited institution of higher knowledge, at which the entrant is accepted, for tuition only. The competition will be based on an essay competition, the subject of which will be selected by the Scholarship Committee. This Committee will also select the judges, who must be scholars or leaders in the labor movement, and who are not members of District #142. The essays will be judged on grammar, style, syntax, originality and content, and the decision of the judges will be final. Upon receipt, essays and application forms will be separated and numbered correspondingly. The essays will be identified by number only for judging purposes. The Scholarship Committee will match winning essays to the appropriate application. All essays received will become the property of District #142 and may be printed in the future using the contestant’s name. To apply for the competition, a fully completed application form together with an essay must be sent by U.S. mail to the District Office and postmarked no later than midnight March 30, 2019. Entrants must comply with all the rules regarding the Scholarship competition or face disqualification. Additionally, any information supplied by entrants found to be untrue will result in disqualification. Disqualification will be made only by majority vote of the Scholarship Committee. Competition will open on February 1, 2019 and will close at midnight March 30, 2019. Applications postmarked after that date will not be considered. Winners will be announced on May 1, 2019. Application forms for the competition together with specific rules and regulations are available through your Local Lodge or through the District 142 website at www.iamdl142.org. Additionally, the General Chair assigned to your area can provide answers to any other inquiries concerning the entire program. All eligible members and year 2019 graduating high school seniors who are legal children of members are urged to take advantage of this opportunity to win financial assistance toward their continuing education.